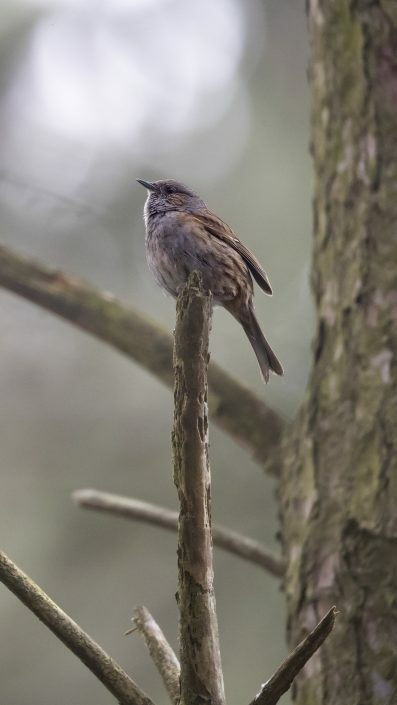 The dunnock (Prunella modularis) is a small passerine, or perching bird, found throughout temperate Europe and into Asia. 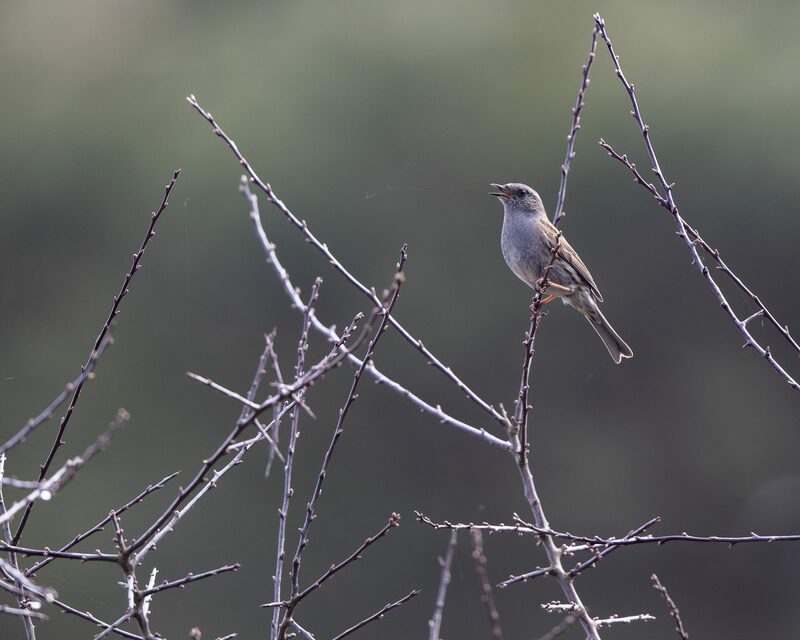 It is by far the most widespread member of the accentor family, which otherwise consists of mountain species. 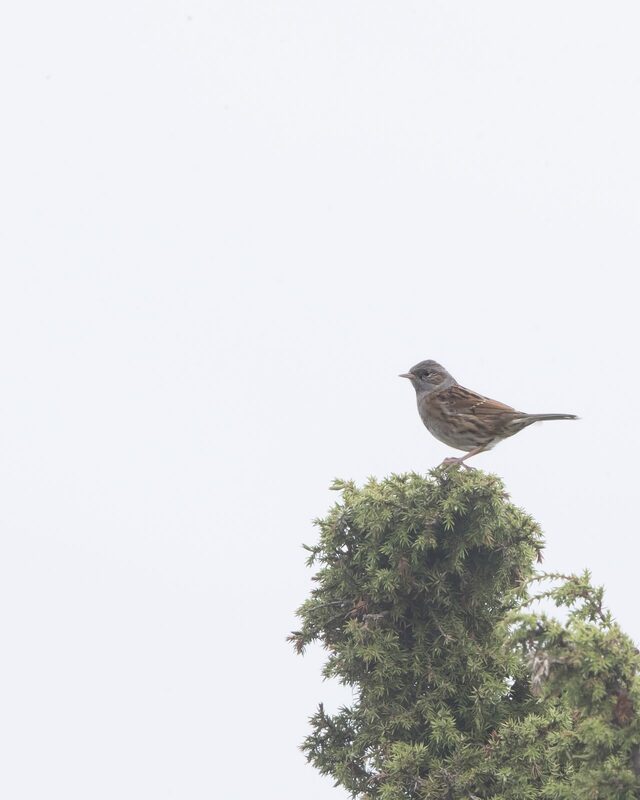 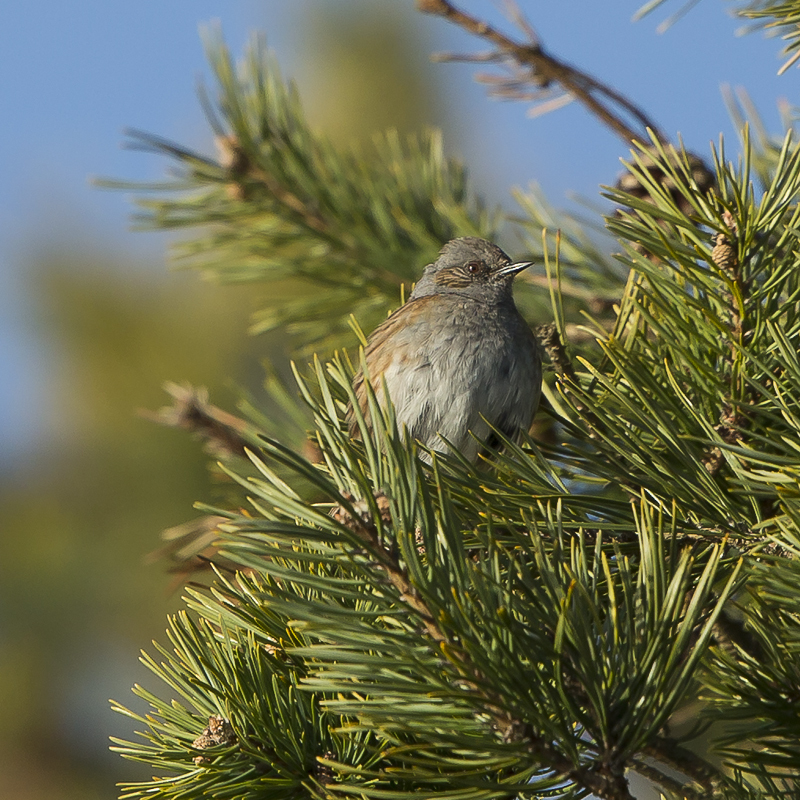 Other common names of the dunnock include the hedge accentor, hedge sparrow, or hedge warbler. 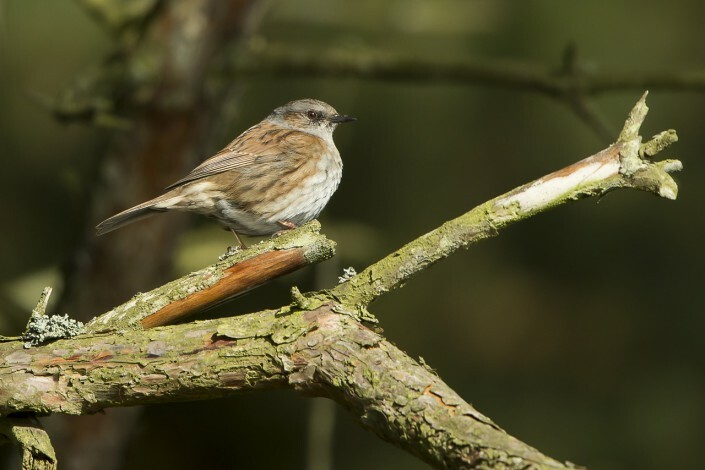 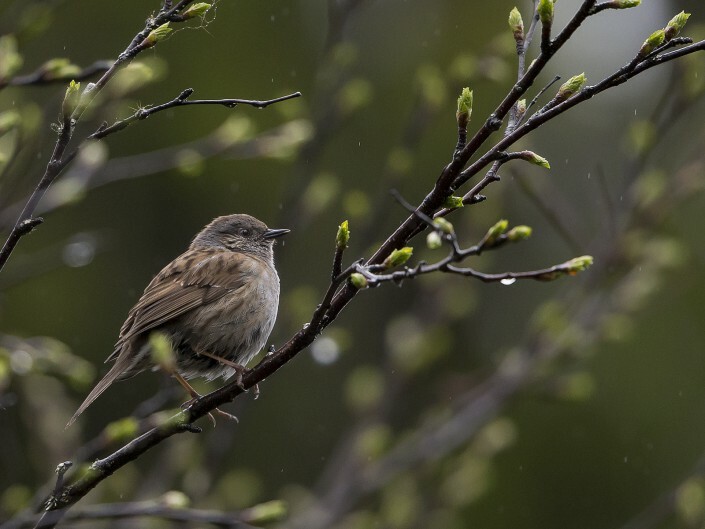 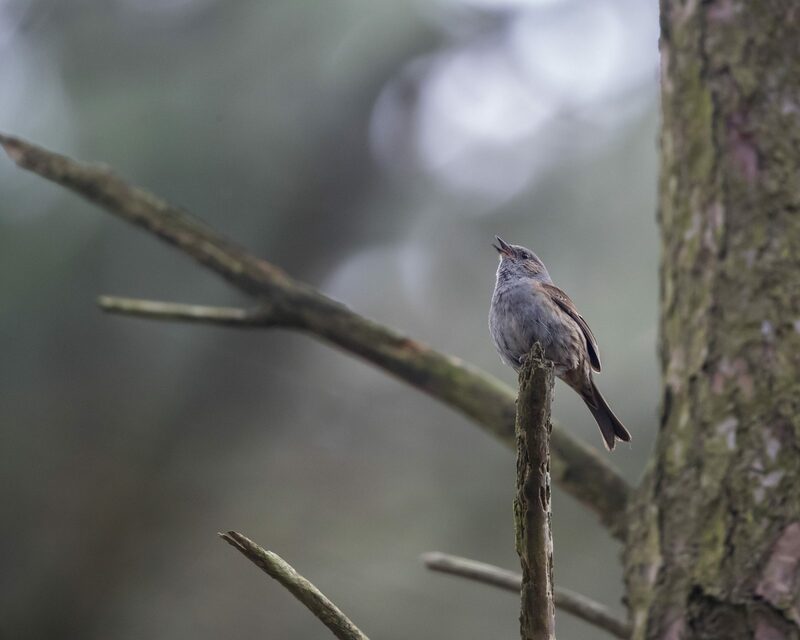 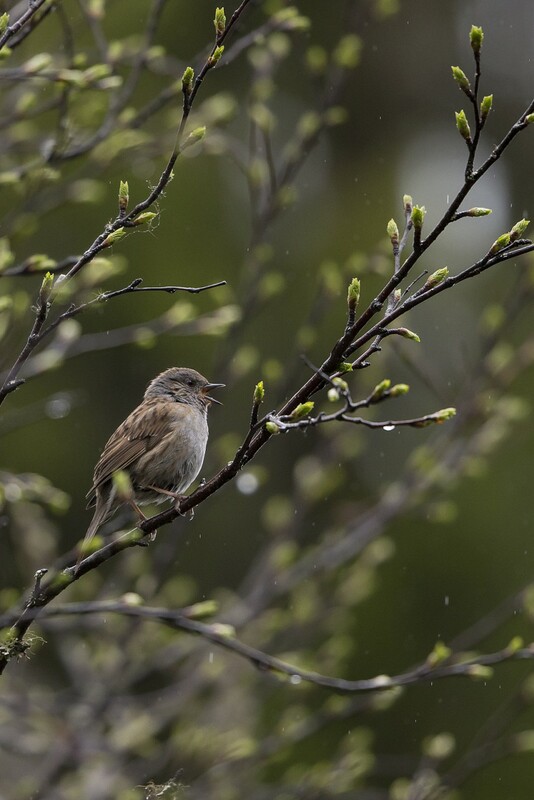 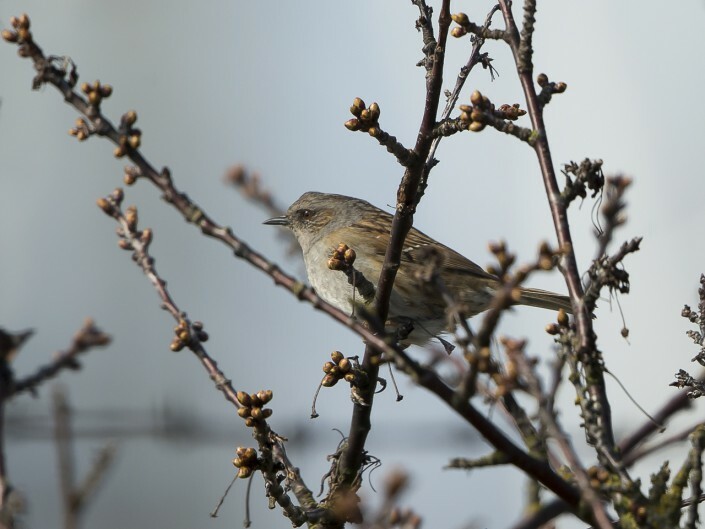 The name “dunnock” comes from the Ancient British *dunnākos, meaning “little brown one.